Fruit Salad is a hilarious party game where fruit get constantly mixed up and that requires memory, speed and risk taking. 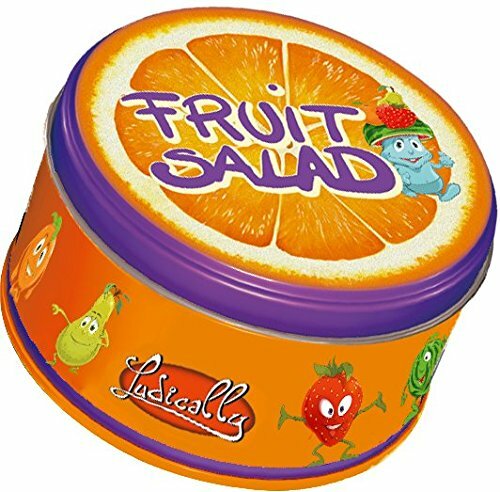 This fruit salad is the ideal dessert to share with family and friends! 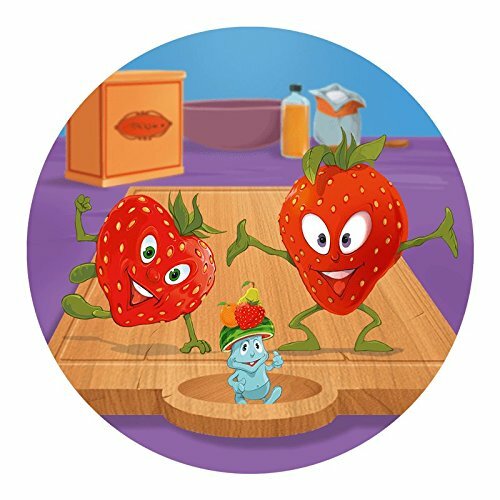 In Fruit Salad, players collectively assemble a fruity dish, trying to get rid of their cards in hand or score four points first.Cards are distributed face down evenly among all players. At the start of a round, someone rolls the two dice one showing a number 4-8, the other showing a type of fruit then players take turns laying cards in the center of the table, covering the card most recently played. 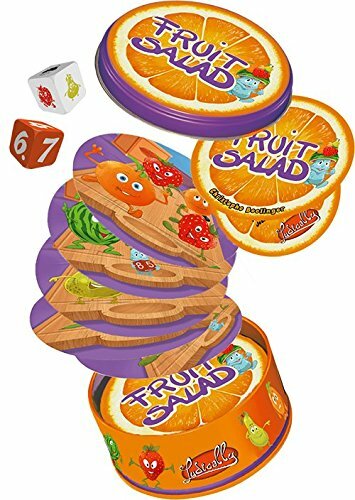 Whenever someone thinks that the stack of cards contains at least as many of the required fruit as shown on the dice, they can slap the stack and reveal the cards. If they're correct, they keep one card face up as a point and distribute the other cards among the opponents; if incorrect, they must keep all of the cards.While this part of the game is straightforward, some cards include minions that require you to reroll either the number or fruit die, thereby changing what you're trying to collect in the salad. Can you keep track of everything?